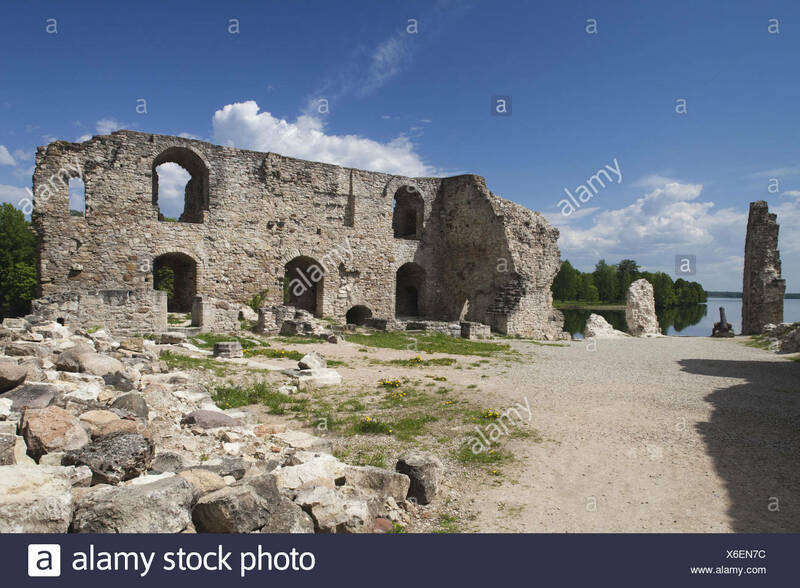 Ruins of Koknese Castle in Koknese Latvia. Three bottom arches and corner of wall match up to the vintage photo. Nowadays it is surrounded by a man-made reservoir.